The Baltic Dry Index, measure of ship transport costs for materials like iron ore and coal, has fallen by 47 percent since mid-2018, when a trade dispute between the United States and China resulted in the world's two biggest economies slapping import tariffs on each other's goods. 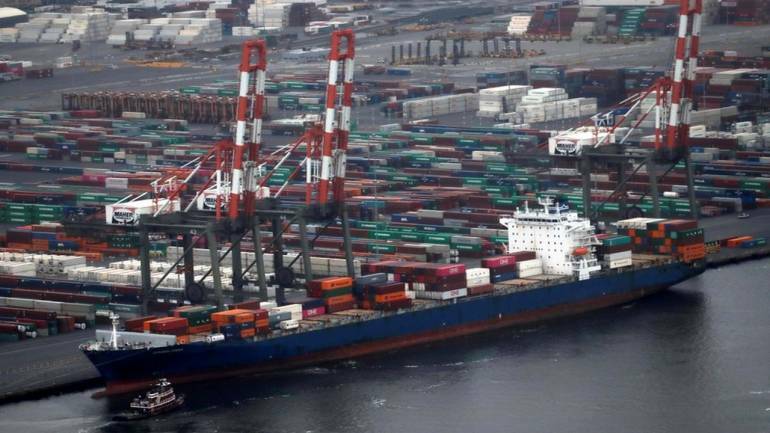 Freight rates for dry-bulk and container ships, carriers of most of the world's raw materials and finished goods, have plunged over the last six months in the latest sign the global economy is slowing significantly. "Signs that the US and China remain well apart in trade talks continued to weigh on sentiment in commodity markets," ANZ bank said in a note on Friday. This was after US Commerce Secretary Wilbur Ross said on Thursday the United States and China were "miles and miles" from resolving their issues. "Slowing global economic growth, the unresolved US-China trade conflict, the US government shutdown, and Brexit drama are all sources of uncertainty dragging at sentiment," said Hussein Sayed, chief market strategist at futures brokerage FXTM.